Review: Yoko Kanno’s score for Umimachi Diary (Our Little Sister) comes from a place of kindness, a place where the familial bonds envelope you in a cloth of loving tenderness. Anime fans have long been exposed to Yoko Kanno‘s flashy, action-packed melodies; what often gets overlooked is her softer, gentler side. Umimachi Diary‘s soundtrack brings that side of her to the forefront. It takes us by the hand, guides us into Hirokazu Koreeda’s compelling drama, and lingers long afterward, leaving us heartened, maybe even inspired by the experience. And true to that gentleness, the soundtrack leads in with “NATSU NO HYOUSHI”, a piece featuring a serene harp melody that meanders about. A piano accompaniment joins about halfway through, trickling in with a sense of curiosity and wonder. As the melody continues its course, the harp’s progress makes it clear that this is just the beginning. The music serves as a staging point for a superb main theme. “UMIMACHI DIARY” is where Yoko Kanno unveils her capacity to write deeply moving fare. The opening chord’s heartwarming aura ripples forth, drawing me in with a wonderful meld of strings, woodwinds, and piano that swells and flutters. The manner in which they come together not only captures how the lives of the three older sisters and their half-sister become intertwined, it also shows how the cords of love, family, and friendship reinforce their relationship. The musical result is overwhelming in its pathos and the strength of this passion is what sets the movie’s musical foundation. But it’s not the only theme to serve that function. “SUZUNO THEME-UMI HE” introduces Suzuno’s motif. In its inception, the motif’s guitar melody is quietly flushed with innocence and an earnest desire to find a sense of belonging. As the piece continues, the main theme comes in, carrying that hopeful yearning to new and greater heights. These emotions become fully realized in “SAKURA TUNNEL” where the ostinato makes way for soaring strings that shake off all restraints. The effusive joy that’s unleashed contains a reassurance that there is no thought too outlandish, no dream unattainable. Its delivery is absolutely sublime. The story then continues with a bit of trepidation along with an undercurrent of eagerness, conveyed through the delicate piano in “FUSHIGI NA JUUNIN TACHI”. Once that mood is established, the cello comes in with a stately melody to offer reassurance for the start of a wonderful new life. One particular noteworthy track that comes later is “IRUMINA”, which has the echo of many a fluttering Kanno vocal classic. The singer’s delivery is ethereal in her lightness, but she still carries many a sparkling moment which, together, imparts an aura of quiet contentment that uplifts in its loveliness. By the time you reach “END ROLL”, you might have noticed that Umimachi Diary‘s music is less varied than the typical soundtrack. But the recurring themes and motifs come together to capture the heartfelt emotions that bubble up in Koreeda’s film. Through the vignettes and the accompanying music, you’re left with a sense for the love and trust that tie the siblings together. And what lingers is a profound happiness in knowing that they’ll always be there for each other, no matter what. Kanno has been waves outside of the anime industry in recent years. It probably started when she composed “Hana wa Saku” as support for the 2011 earthquake. The song has since become a staple of sorts. It’s made it’s way into textbooks, it is performed in schools, and has been sung on TV and radio by numerous artists. It’s also been performed at the yearly Kohaku, the top-rated musical event in Japan, every year since it was released. In 2013 she scored Gochisousan, a popular NHK morning drama that got a viewership rating of 22.4%. Kanno wrote classical style music for the show, occasionally making references to composers such as Gershwin and even to her own music from Aquarion. 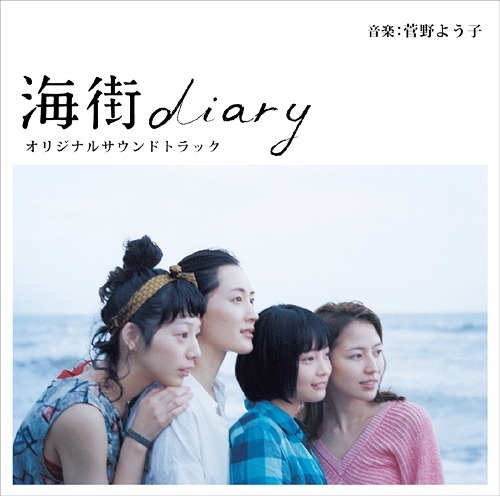 After that was Umimachi Diary, which scored the Best Picture prize at the 39th Japan Academy Awards and earned Kanno a nomination for her music. And now here we are. Next month, she will score Onna Joshu Naotora, a prestigious NHK taiga drama. It is said that she will be in classical mode yet again and that the main theme is a 14 minute long piano concerto. Concert pianist Lang Lang performs with the NHK Symphony Orchestra. Kanno’s future is looking bright as she is no longer just known by anime fans. She’s reaching for the point where everyone will know her name. She never was known only as “anime composer”. Some creatures knew about her from the early 90s, including me. And it’s unimportant what everyone will know or not know. Plebs opinions doesn’t matter. The fact she is one of the single female genius composers of modern time. That’s what a little bit important in humans terms. That is such a snobbish reply. >She never was known only as “anime composer”. Some creatures knew about her from the early 90s, including me. Yeah, maybe she was composing for some video games in late 80s/early 90s, but she wasn’t a well known name in Japan until Macross aired in ’94. And it wasn’t until Cowboy Bebop aired that she became known to the world. From there on, she was cemented as an anime composer. >And it’s unimportant what everyone will know or not know. Plebs opinions doesn’t matter. Maybe to you. Artists, on the other hand, strive for their work to be seen and heard by others. Still want to expose more people to her work since it’s very deserving. It’s less of an opinion thing and more of: hey, here’s something awesome to check out! Dang, thanks for the update! I’ve been somewhat aware of her work on the NHK stuff, but haven’t explored them at all, so it’s something for me to do once my schedule clears up. The nomination from the Japan Academy is well-deserved, though to look at the nominations, I might have to check out Oshima’s work on 125 Years Memory? >I might have to check out Oshima’s work on 125 Years Memory? Unfortunately it was not released. I asked Oshima about it and she said that no release is planned. It’s a shame because it was recorded with the Moscow Symphony Orchestra. Kanno has always seemed a bit grandiosely gloomy to me, maybe because her soundtracks I’m the most familiar with are not exactly from happy series. This time she’s not, and I’m glad to see a different side of her. She plays very subtly with the tone and the mood of her pieces : the very small violin notes under “Sakura tunnel”, the delicious altered chords at the end of the main theme snippet you had, tons of others. I like what I’m hearing a lot, I may in fact even check out the movie because of that! Zankyou no Terror was pretty gloomy. I’m hoping her career trajectory gives her more opportunities to do different things, yielding different styles. And yes, check out Our Little Sister. It’s a wonderfully heartfelt movie, especially if you’re into themes like family bonding since there’s a lot of that in spades.